Photo: Blaser guides U.S. team to victory in 2017 Toyota Junior Golf World Cup. 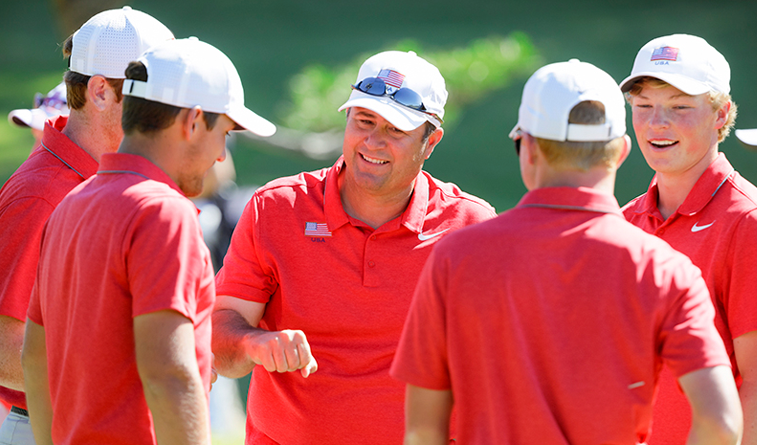 Kyle Blaser won 11 national titles, guided the U.S. team to victories in two Junior World Championships, and went out a winner, leading Oklahoma City to a victory in his final event as head coach last week, the team’s 119th victory under his tutelage. In what he called “the toughest decision I’ve ever made,” Blaser stepped down from OCU to accept a job with a building supply company, one that has the potential for the 48-year-old Blaser to become more financially secure as he approaches retirement and also one that will allow him more time to watch his youngest sons grow up and compete in golf and other sports. Blaser, who would have been a strong candidate to replace Bill Brogden at the University of Tulsa had TU not decided to shutter its men’s program, did look at and was offered positions by several Division I schools over the years, but said the right timing and situation never presented itself. 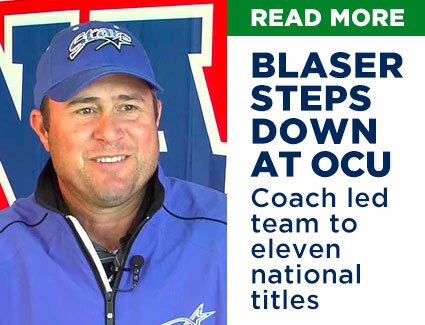 Blaser was recently inducted into the OCU Athletics Hall of Fame and was proud that all but one member of his first recruiting class was in the audience along with many other players over the years. Looking back, he said the first national championship in 2001 and the final national title in 2018 were among his favorite memories along with twice representing the U.S. in international competition. 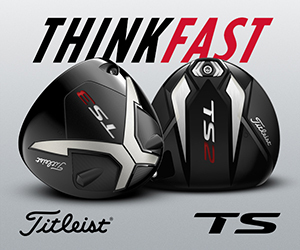 Blaser has a son Blake who plays collegiately at Louisiana Tech, another son Carson who is a high school golfer at powerhouse Edmond North and a 10-year-old Chase who plays golf and basketball. He looks forward to having more time to watch all three compete. Marty McCauley, coach of the OCU women’s team, will run practices and serve as interim coach until a permanent replacement is hired.